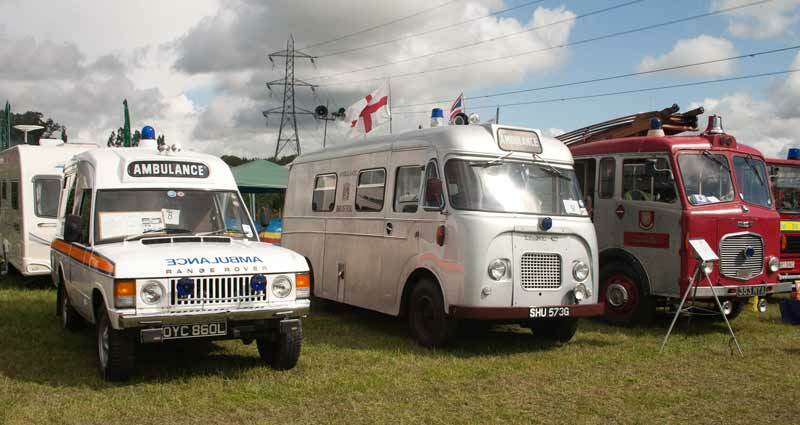 1971 Range Rover Ambulance, 1969 BMC Ambulance and 1961 Dennis F28 Wheeled Escape. 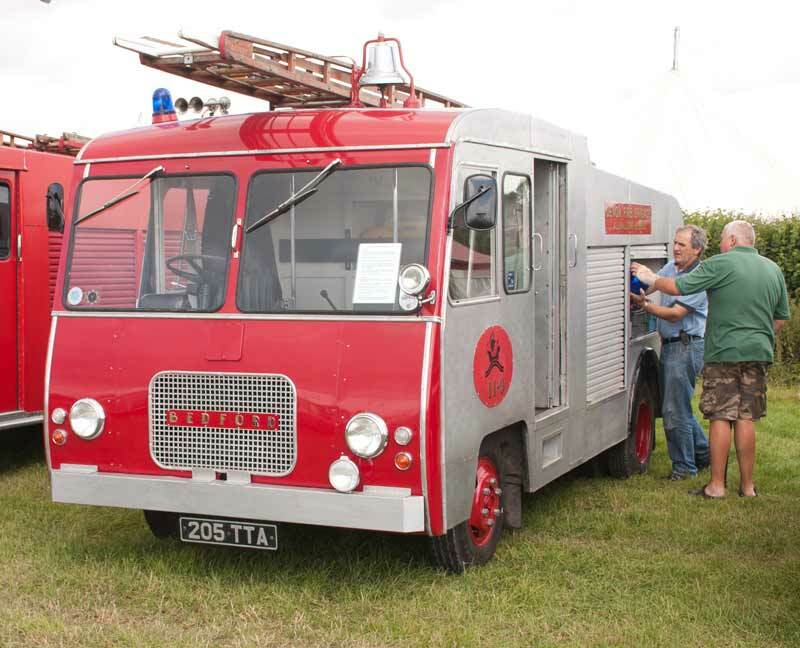 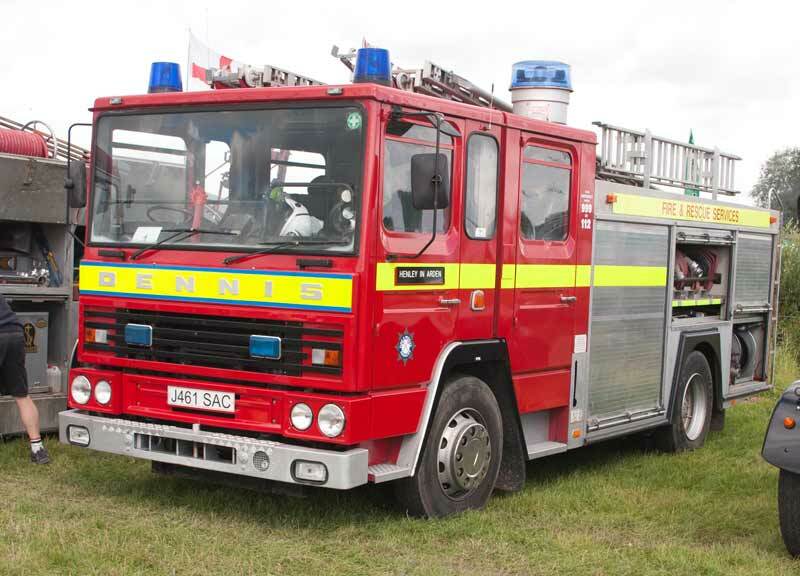 Another view of 1961 Dennis F28 Wheeled Escape originally allocated to Glastonbury Fire Station. 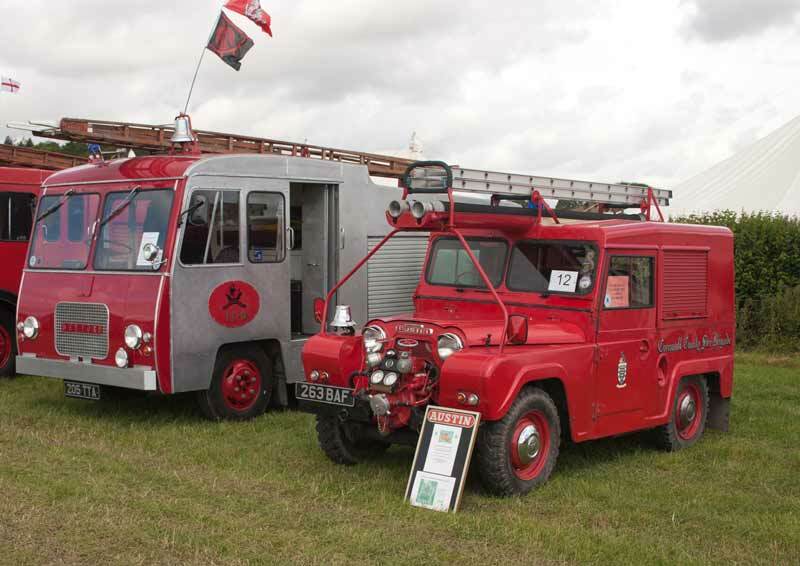 1963 Land Rover Series II fire engine and 1923 Ford Model T fire engines. 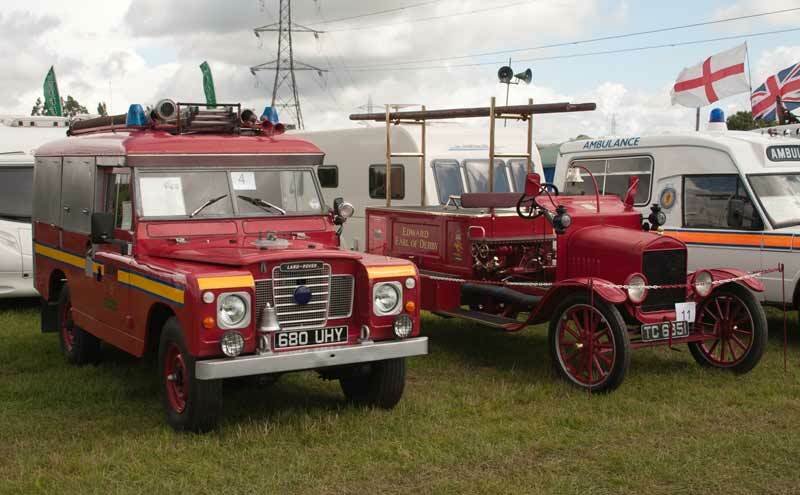 1963 Bedford J2 and Austin Gypsy fire engines. 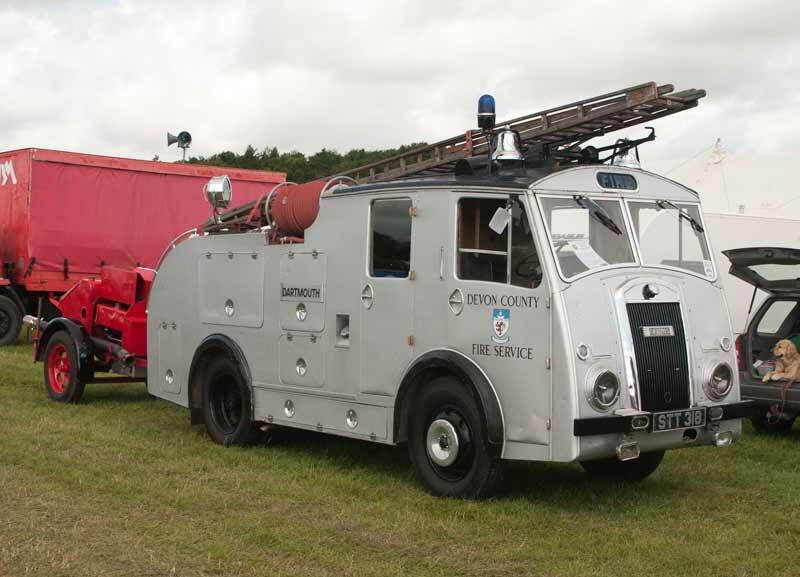 Another view of the 1963 Bedford J2. 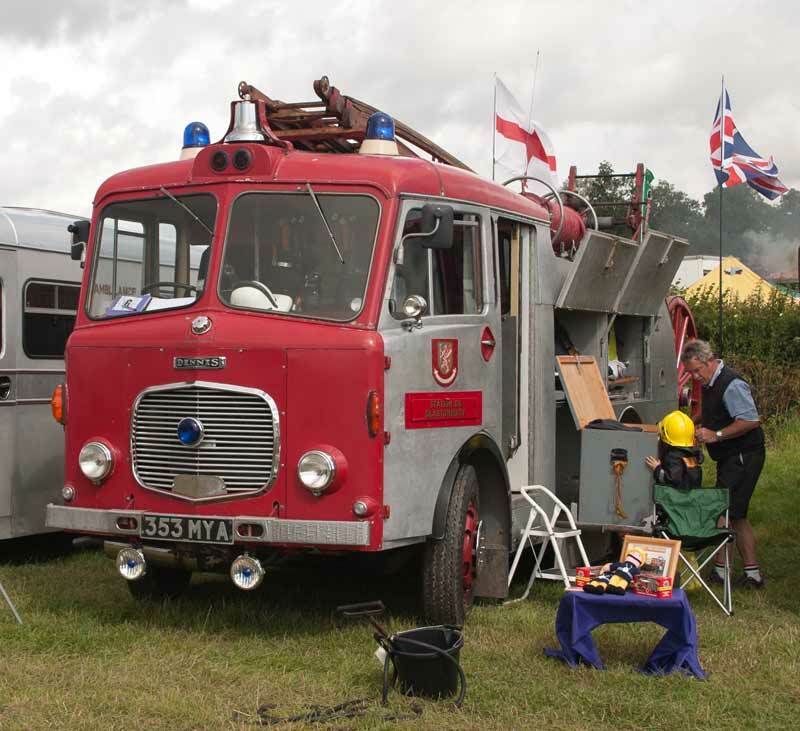 1966 Bedford J2 HCB water tender. 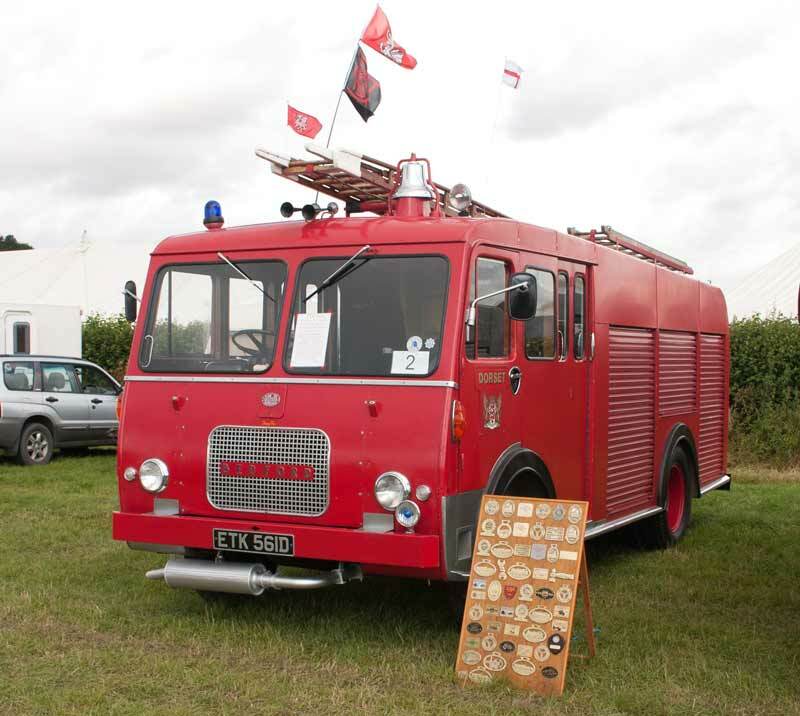 1955 Dennis F8 fire engine which was originally based at Dartmouth.